Q. What do Albert Einsten and The Beatles have in common? For that matter, what do Ernest Hemingway, Billie Holiday, and Clark Gable have in common? Answer: all of these entities have a dossier with the United States Federal Bureau of Investigation! 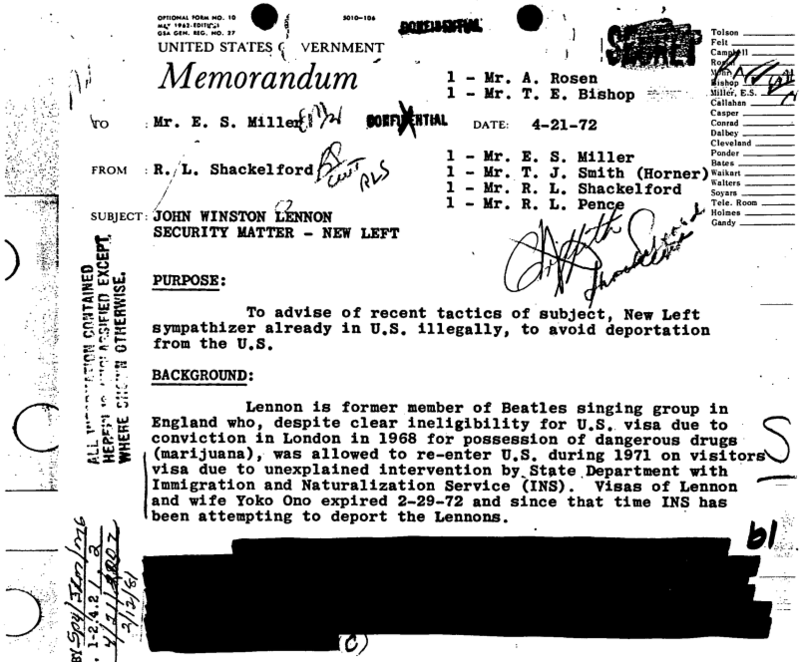 The FBI have now declassified over 200 of these files and made them available online. You can see them if you go to our online catalog and look under the subject: United States. Federal Bureau of Investigation -- Archives. Or you can look under a person's name as a subject and see if we have an FBI Archive dossier for them. Just a word of warning: sometimes the FBI saw fit to black out possible libelous statements, so some dossiers are heavily censored. But hey, it's the FBI's files and the public is fortunate to have any of them available at all. Well, 'fortunate' may be a misnomer--'freedom of information' may be closer to the mark.